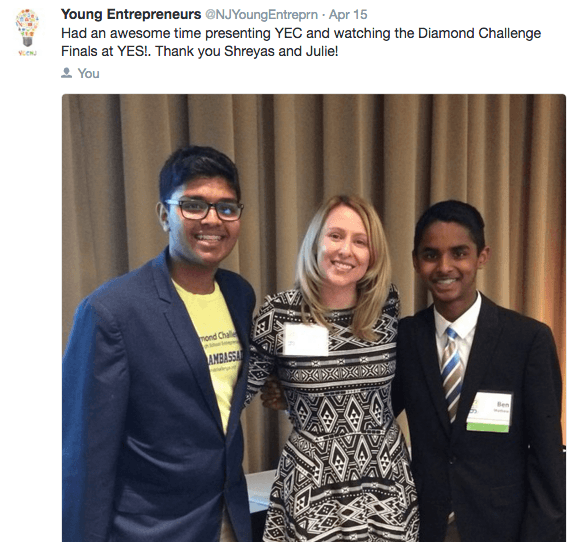 The 2016 Diamond Challenge final round came to fruition during the second annual Youth Entrepreneurship Summit (YES!) at the University of Delaware, also broadcast live thanks to Capital One (watch the recording here). 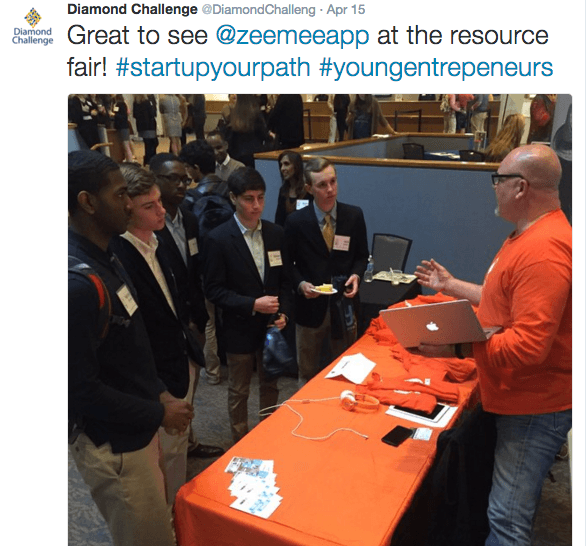 The day, which included more than 290 attendees from five states and six countries, began with breakout sessions led by esteemed entrepreneurs and innovators and was peppered with networking opportunities, including with resource fair exhibitors such as ZeeMee, Barrel of Makers, and Schoolyard Ventures. The final round concluded with an inspiring keynote from Katlyn Grasso, founder and CEO of GenHERation. Judges for this year’s final round included Kris Vaddi, entrepreneur, scientist and member of the Horn Program advisory board, Katlyn Grasso of GenHERation, Suzanne Clough, President and CEO of Clough Health and Wellness, LLC, Wayne Kimmel, Managing Partner of SeventySix Capital, and Delaware Joint Finance Committee Senator Harris McDowell. 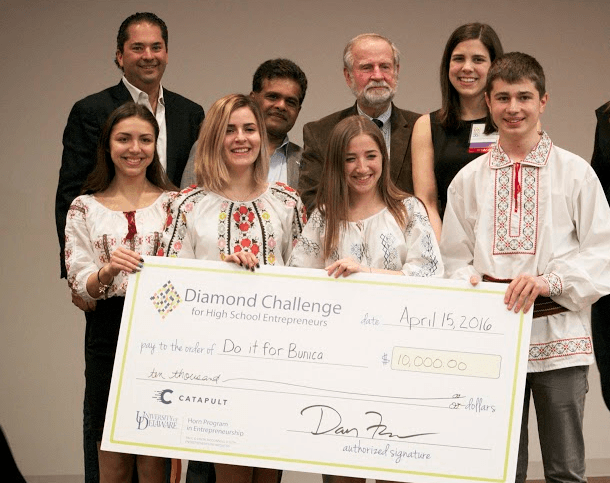 The Diamond Challenge empowers high students around the globe by teaching them how to generate ideas to solve real problems for customers and beneficiaries and put their ideas into action. 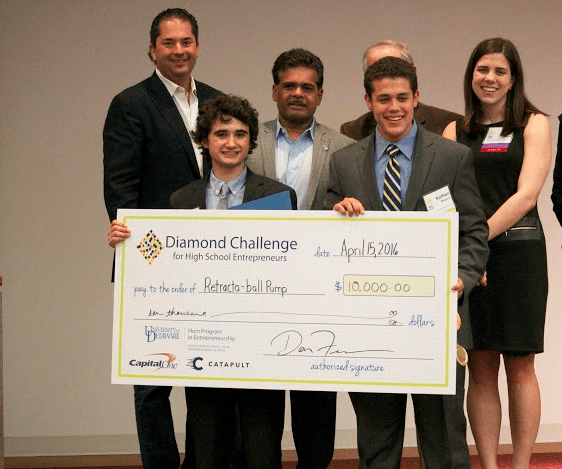 Student entrepreneurs choose to compete in either the Business Concept or the Social Venture competition. 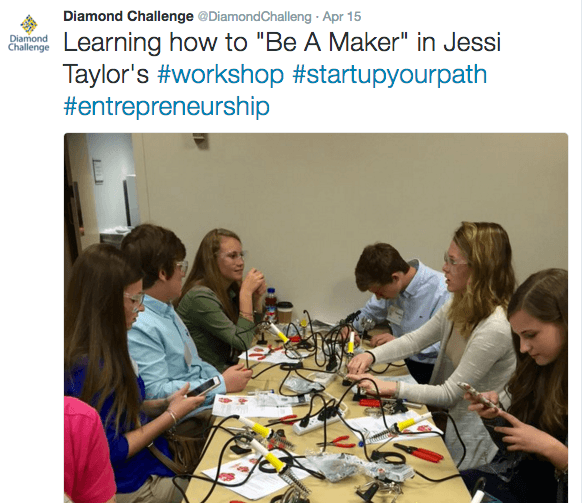 Participation in The Diamond Challenge is free for all high school students. Students submit written concept and pitch their new venture ideas at live events around the world or via video. Entrepreneurs and business leaders evaluate business concepts based on feasibility and growth potential; social ventures are also evaluated based on social impact. Cash awards may be applied towards tuition at any higher education colleges or universities, or towards advancing students’ business ideas or social ventures. 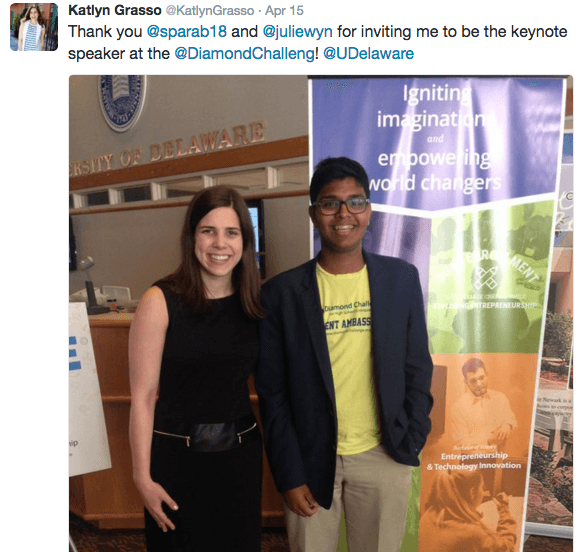 The University of Delaware Horn Program in Entrepreneurship ignites imaginations and empowers world changers through entrepreneurial education. Offerings emphasize experiential learning, evidence-based entrepreneurship and active engagement with entrepreneurs, business leaders and members of the broader entrepreneurial ecosystem. Participation in Horn Program courses and co-curricular activities provides students with the knowledge, skills, connections and access to resources needed to successfully manifest innovation and thrive in a rapidly changing world.